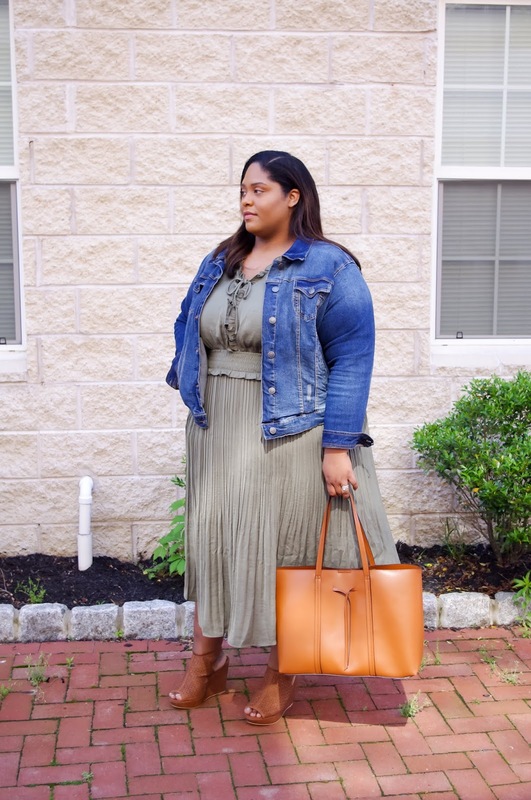 Happy Monday and also happy Memorial Day everyone! 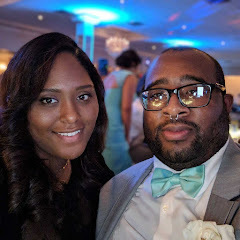 I hope you are all enjoying this amazing three day weekend if you work on Monday's! 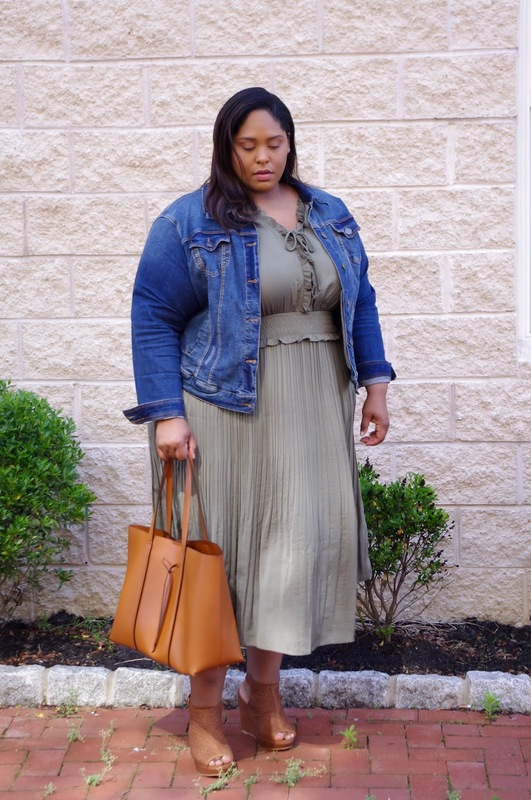 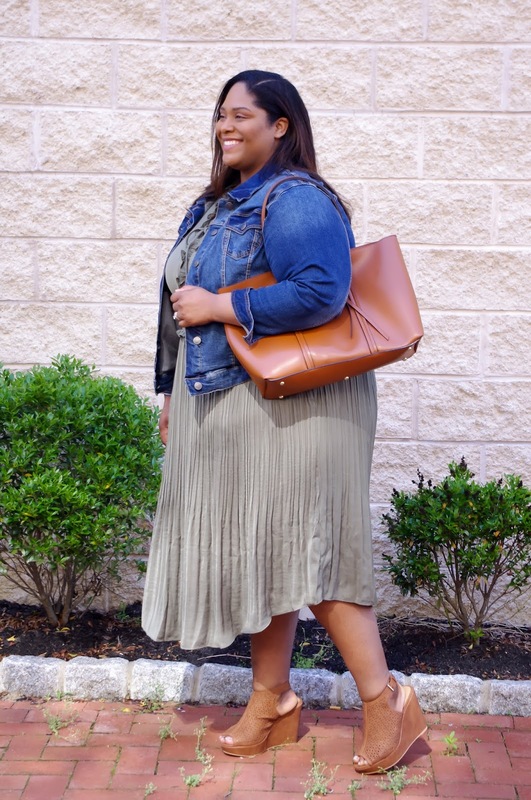 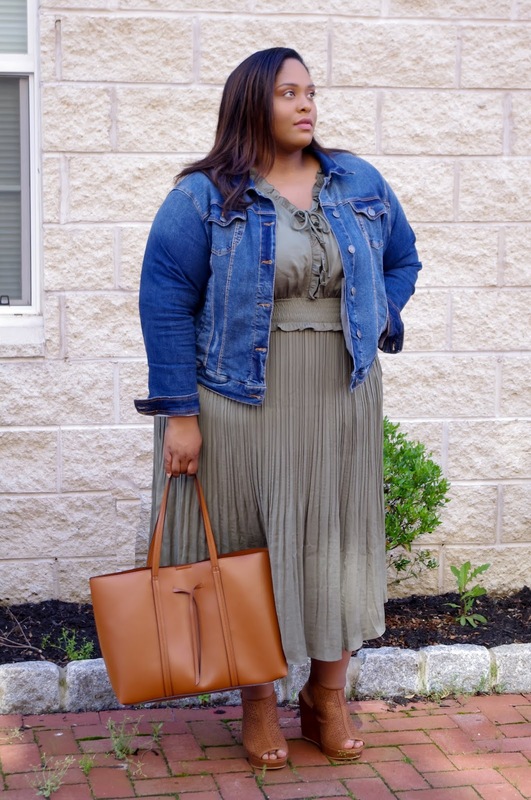 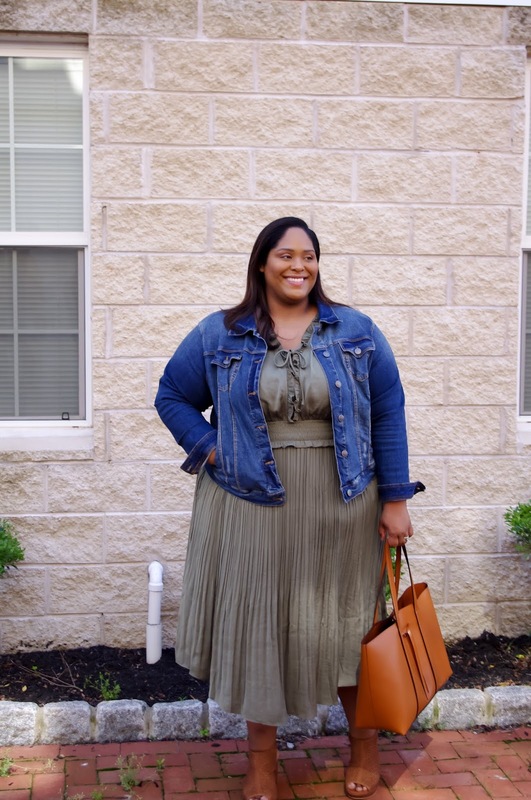 For today's post I'm sharing this gorgeous olive dress that I grabbed from Lane Bryant over the weekend its so comfortable and I love how soft it is the material is amazing and I love that I can pair it with a demin jacket and chunky heels. 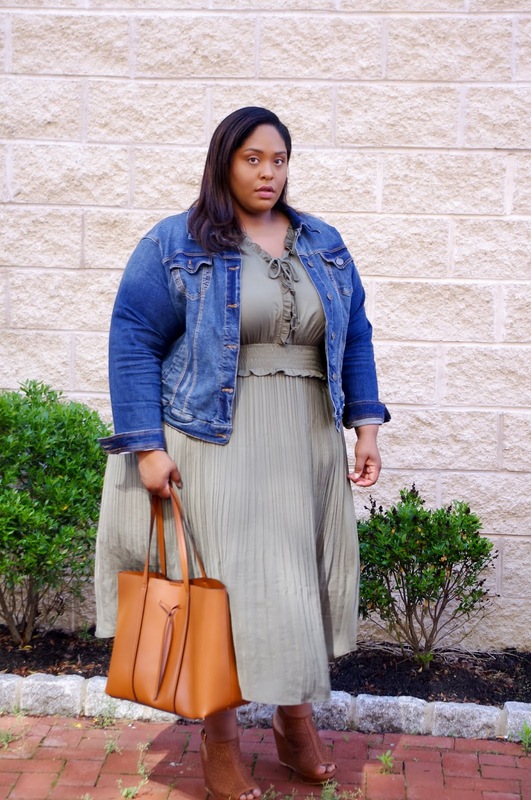 It also makes for a great summer dress thats light weight and airy. 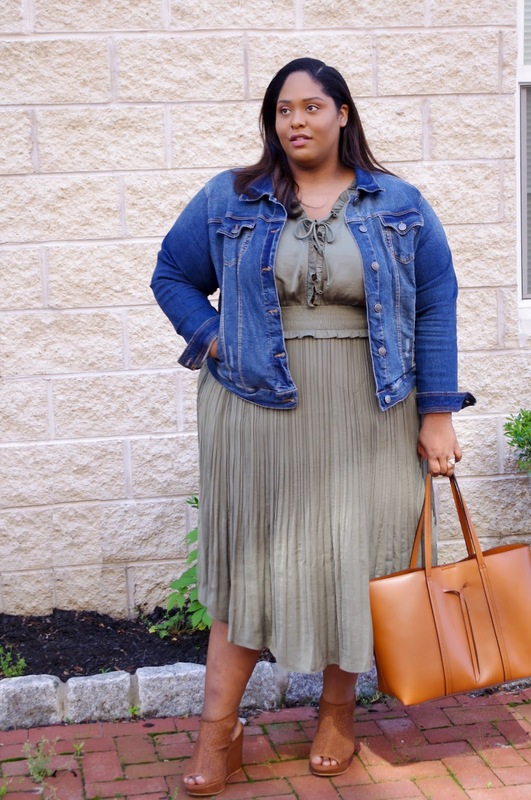 So I hope you all enjoy!